Launch the software and download this application in your system. Now select EDB database type to select the browse button to locate EDB mailbox. 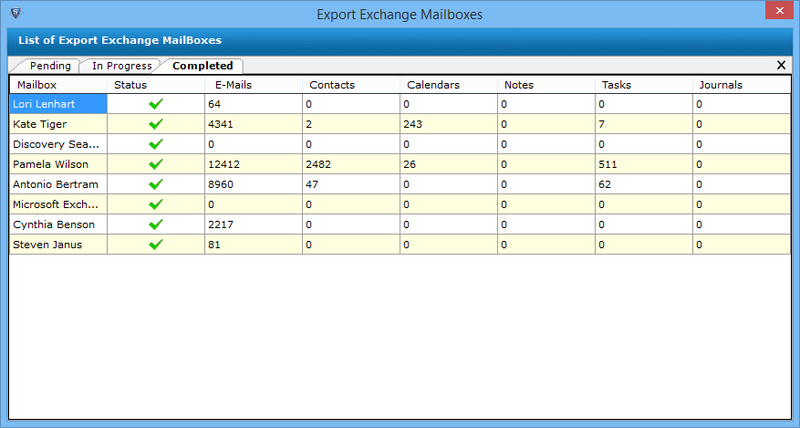 List the completed details of mailbox status, status, number of emails, contacts, calendars, tasksa nd journals etc. Check it then click on Close tab. At the end of conversion process close the window and accept the warning message to close the setup by choosing yes.